We are your higher education solution! Our commitment to offering you an amazing educational experience at an affordable price is second to none. 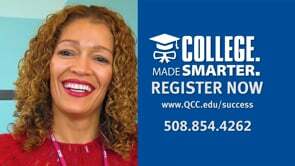 In addition to our beautiful Worcester campus, we have also expanded our services into Southbridge at 5 Optical Drive (QCC-Southbridge). Both locations operate under one umbrella with the same objectives—providing you with a quality education and meaningful credentials. 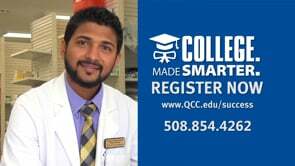 The academic programs we offer are developed with the needs of our local economy in mind so that you can take full advantage of your Certificate or Associate’s Degree upon graduation. 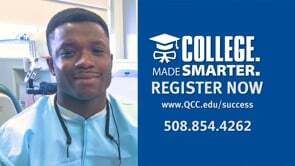 Essentially, a QCC education is designed to yield rewarding career opportunities. 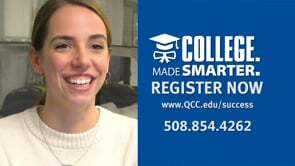 If your desire is to eventually earn a Bachelor’s degree, we also know that the rigor of our courses will prepare you for our extraordinary transfer opportunities. There is a reason why over forty percent of high school graduates are starting at a community college. Attaining a quality education right in your backyard makes a lot of sense. Learn more about transfer opportunities. 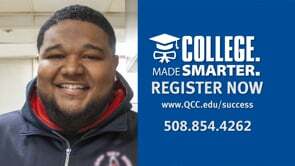 For more information about our Academic majors and admissions requirements, visit the Academics section. Be sure to look at the major you are interested in to research the cost, curriculum, and admissions requirements for that particular program. Upon reviewing the admissions requirements for your intended major, please proceed to our Enrollment Steps to begin the admissions process.